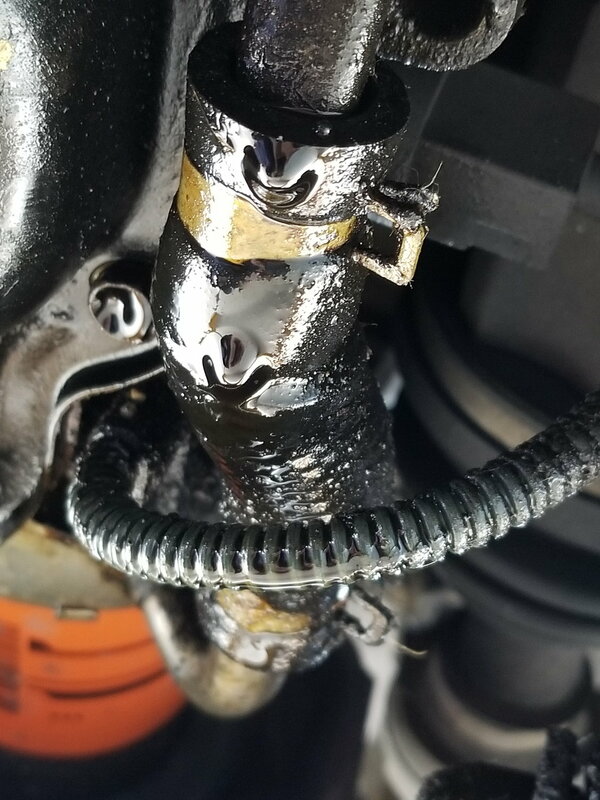 I have an oil leak coming from a hose going to the oil filter. I was surprised to see it was a water hose. I am thinking of replacing it with a hose rated for oil. I would have had to wait until next week for OEM part from the dealer. Any one see a problem with this? That's a coolant line for the oil cooler. You have a leak higher up, valve cover gaskets or power steering leaks are common. You may not want to mess with anything yet. Clean off the old oil and trace where it's coming from. Your oil cooler has a O-ring gasket that has gone bad. That's where your leak is coming from. Replace that gasket the next time you do an oil change. Can Fuel Line Hose be used as AT Oil Cooler Hose?